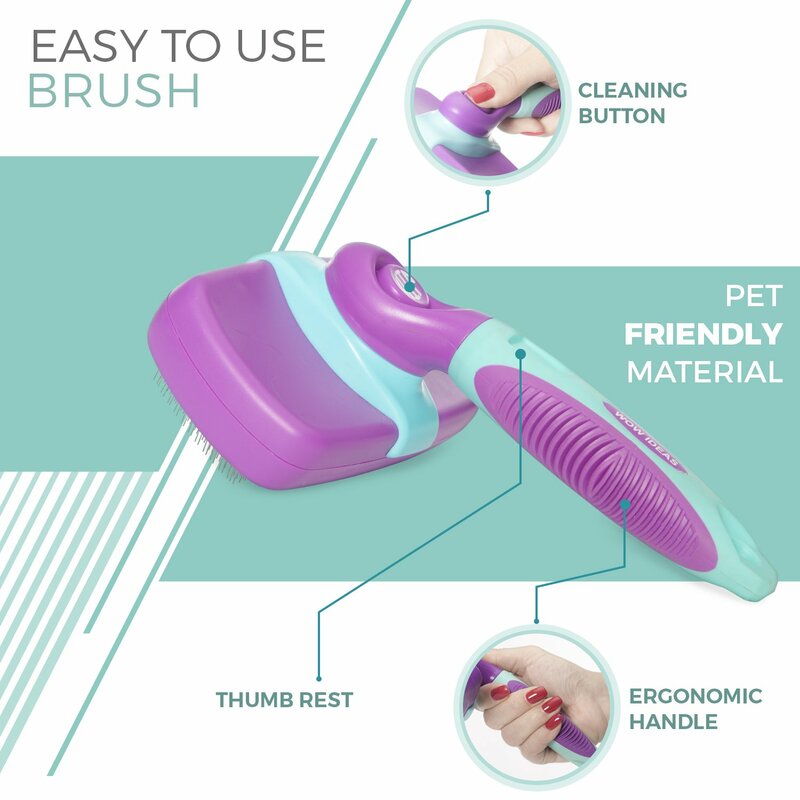 ★ SHEDDING, GROOMING, DEMATTING PET BUNDLE: Pet Self Cleaning Slicker Brush for Dogs and Cats and Pet Hair Remover, Grooming, Shedding and Bath Massage Glove. Extra Bonus: E-book about choosing and welcoming a pet in your family. ★ KEEP YOUR PET HEALTHY and HAPPY – Regular grooming will keep your pet’s coat healthy and shiny, increase blood circulation, prevent mats and knots, reduce dander and allergens in the air, stimulate skin oils and improve coat softness. ★ EFFECTIVE DESHEDDING TOOLS – The Slicker Brush has fine bent wire bristles specially designed to penetrate deep into the coat, and groom the undercoat without scratching your pet’s skin. 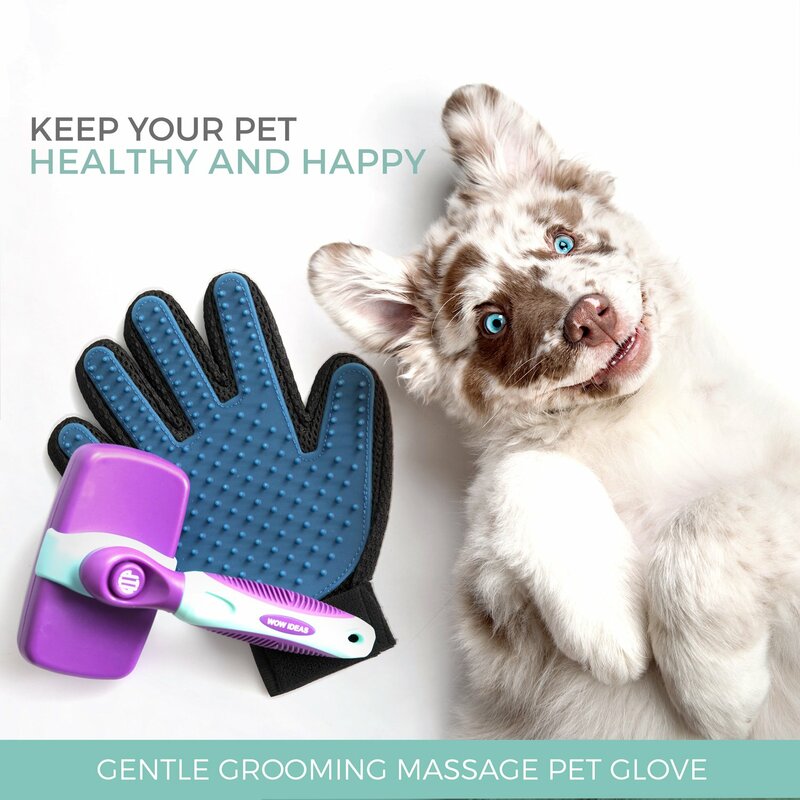 The Gentle Grooming Massage Pet Glove is flexible, adjustable and breathable, with 180 silicone grooming tips that mimic the touch of the hand for a soft and relaxing massage your pet will love. Grooming is not just about maintaining your pet’s level of cleanliness, and keeping your pet good-looking, but also about maintaining both your pet’s physical health and their appearance. Regular brushing also helps to bring out the natural oils in the pet’s fur. SELF-CLEANING SLICKER BRUSH with storage bag. -Gets rid of any debris, loose hair and mats and knots in the fur. The Brush gets through the thickest coats and prevents tangling and matting (good for Long, Medium, Short, Thick, Wiry, or Curly Hair). 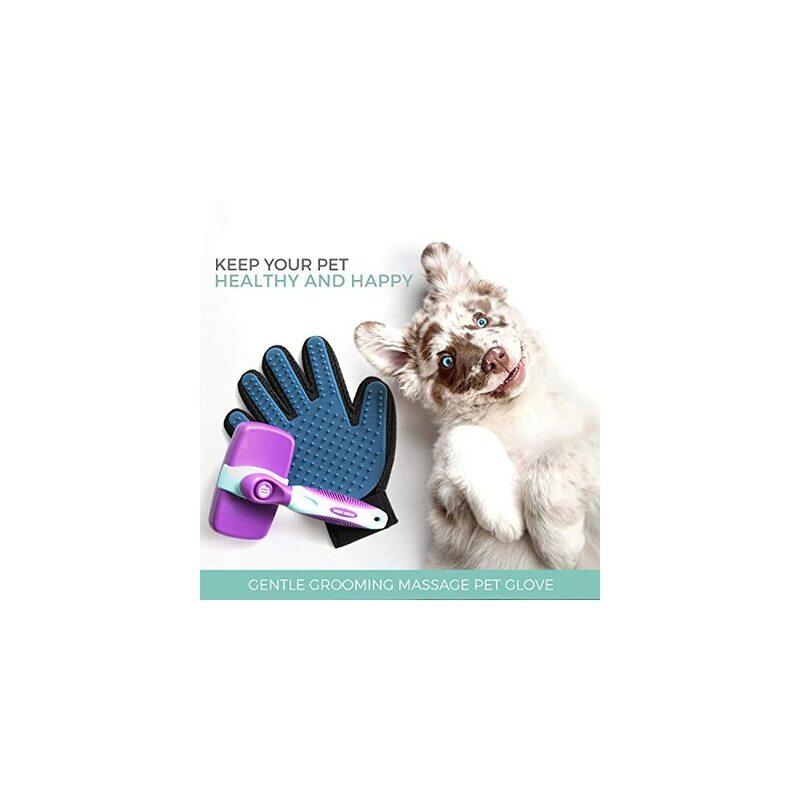 -The fine bent wire bristles keep your pet fresh and healthy and increase blood circulation. 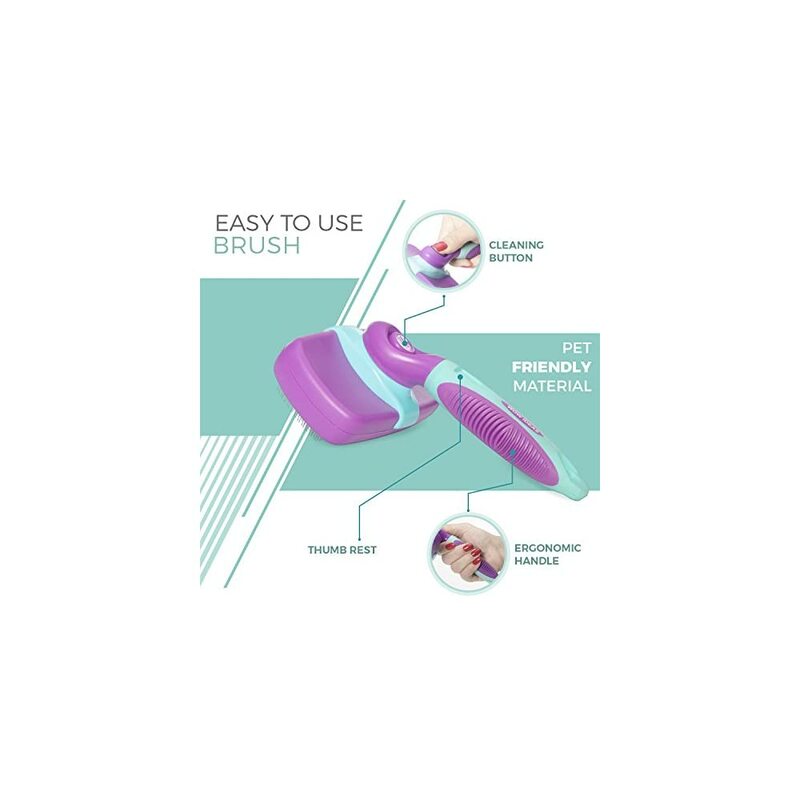 -Self-cleaning design, one click button retracts the bristles for easy cleaning and storage. -Ergonomic comfort-grip and non-slip handle. -Golden Retriever, German Shepherd, Dogs and Persian Cats certified. -180 soft silicone tips pick up loose pet hair with ease, and provide a gentle and relaxing massage. -Removes pet hair from fabric and upholstery. 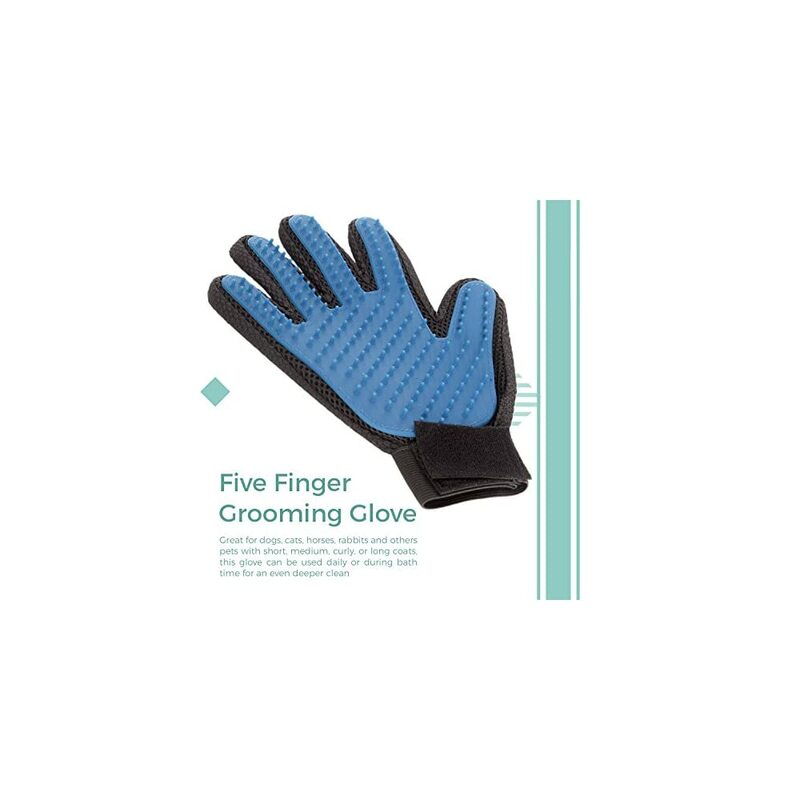 -Ideal for dogs, cats, horses, long, or short fur. -Adjustable hook/loop strap, easy to clean, one size fits most. E-book about how to choose and welcome a pet in your home, family and most important in your heart. Info for downloading the E-book can be found on the pet self-cleaning slicker brush blister card. ORDER your Bundle NOW and keep your pet healthy and happy! 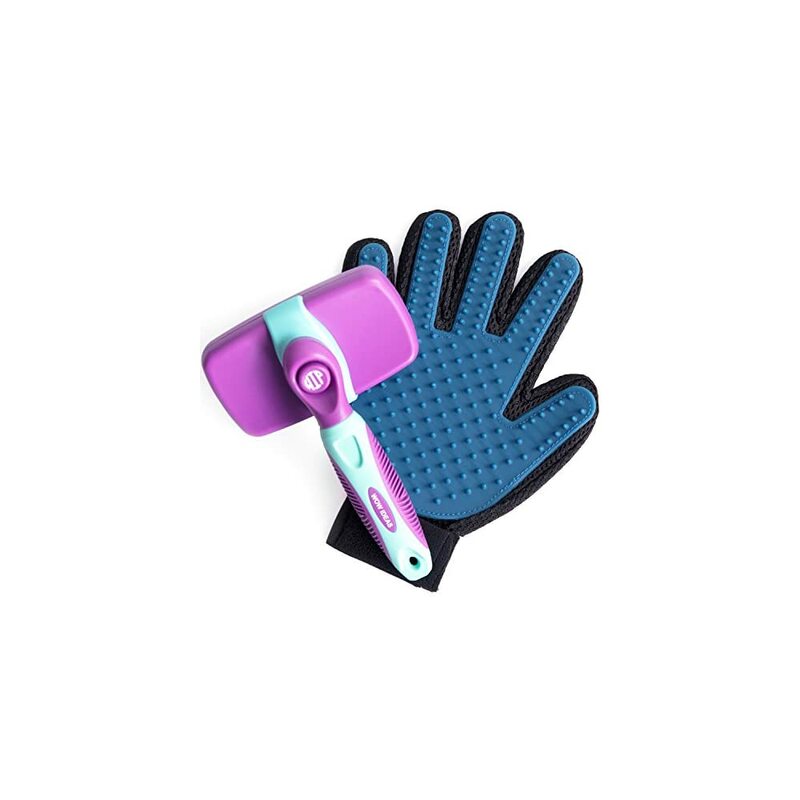 ★ EASY TO CLEAN & COMFORTABLE – The Slicker Brush is specially designed with a comfort silicone-grip and anti-slip handle, which prevents hand and wrist strain. To remove hair, simply click the button and the bristles retract back into the brush. The pet glove is machine washable. ★ VERSATILE: The Slicker Brush works great on dogs and cats of all sizes and hair types. 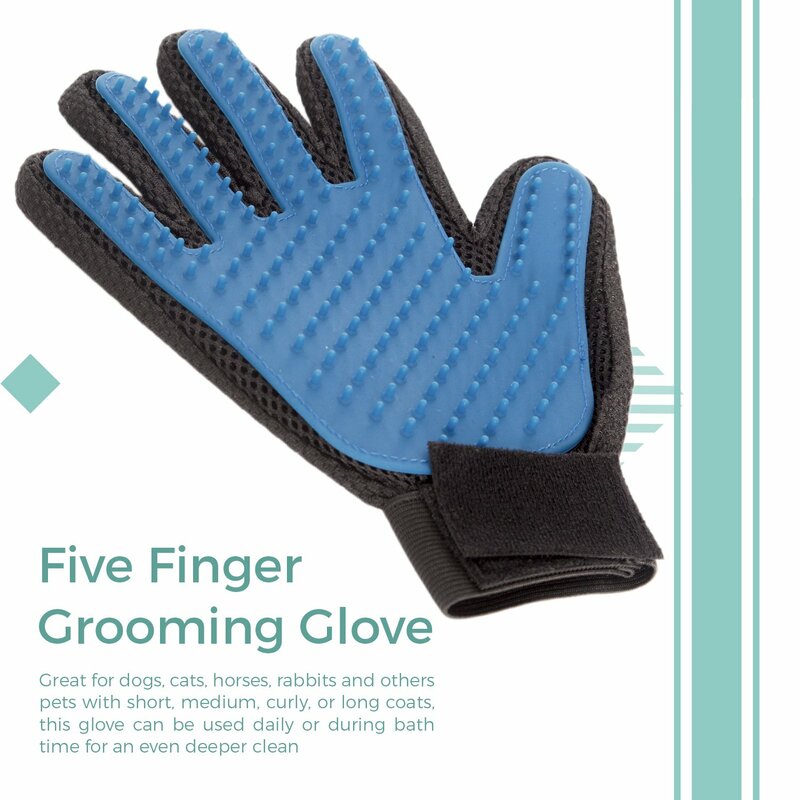 The pet glove is great for dogs, cats, horses, rabbits and others pets with short, medium, curly, or long coats and can be used daily or during bath time for an even deeper clean. My dog would sit for hours if I was prepared to brush him for that long, he is long haired so loves the brush. I use the glove for his head as it is easier for him. Really makes grooming a joy for the animal and the owner, I love this . Our cat (The Shedder) purred happily if she thought you might walk within 10 feet of her gloves. She adored brushing in general but was over the moon about the gloves. 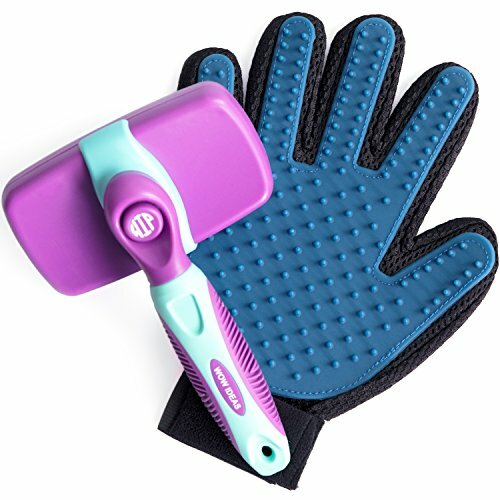 The brush I can do without, but these glove brushes are great items to have in your possession, if you have a pet that is afraid of brushes this glove solves this problem.